On the eve of America’s 239th birthday from which we declared our independence from a tyrannical king, a new tyranny has come forth. And it is no one’s fault but We the People. Christians are upset about last week’s Alternative Marriage Supreme Court ruling but I would like to strongly remind everyone that the recent ruling, though a definite sign of decline, is merely a sign of further decline, a great decline that began many decades ago. On January 22, 1973 the Supreme Court ruled with an iron hand in one sweeping decision that baby killing in the womb had become perfectly legal and the law of the land, overturning every state law against abortion. The vast majority of Americans were against this ruling but the will of the people did not matter. And innocent babies otherwise safely in the womb would now be targeted by heinous practitioners of depraved butchery. These innocent babes had no voice. They lost all their rights. Barring later repentance that I can find no record of, the seven deceased justices that formed the majority opinion are now suffering a far worse punishment than the one they perpetrated upon the roughly fifty-five million innocent babies to date. These men were heartless and cold. We have now learned, several years ago in fact, that these babies feel excruciating pain when being ripped apart and sucked out, unlike the mere glob of tissue they are purported to be, which means they suffer the double whammy of physical pain and a complete disregard, dismissal, and indifference toward their status as both human beings and free Americans. The Roe v. Wade decision was the worst decision ever rendered by the Supreme Court, without question, and makes the one rendered last week look like nothing. The recognition and acceptance in America over the last 42 years of legalized baby killing should put the recent ruling in proper perspective. We should understand that the Supreme Court had already rebelled against God many decades ago and that such current decisions should not surprise us. Regarding the weird White House color show of last week, perhaps the White House of early 1973 should have been bathed in blood red. Regarding America, just who are these evil men and imposters prophesied about by the apostle Paul so long ago? Well, considering Supreme Court justices, they are in office by the will of the people. They are nominated by Presidents and must be confirmed by the Senate, which means both branches must work together to make the appointments final. Presidents are elected by the people of the nation. Senators are elected by the people of their respective states. Therefore, such Presidents and Senators are elected by We the People, which means the ultimate responsibility is with the American voters who elected such people into office. Assumed Office on September 26, 1986. Nominated by Ronald Reagan (Republican). Assumed Office on October 23, 1991. Nominated by George H. W. Bush (Republican). Assumed Office on September 29, 2005. Nominated by George W. Bush (Republican). Assumed Office on January 31, 2006. Nominated by George W. Bush (Republican). Assumed Office on February 18, 1988. Nominated by Ronald Reagan (Republican). Assumed Office on August 10, 1993. Nominated by Bill Clinton (Democrat). Assumed Office on August 3, 1994. Nominated by Bill Clinton (Democrat). Assumed Office on August 8, 2009. Nominated by Barack Obama (Democrat). Assumed Office on August 7, 2010. Nominated by Barack Obama (Democrat). The Alternative Marriage Decision was a 5-4 vote. Voting For were Kennedy, who wrote the majority opinion, Ginsburg, Breyer, Sotomayor, and Kagan. Each one of these justices was nominated by Presidents who were elected not only once, but twice. The American people cannot be more clear about their choice for President when they elect that President twice. Each one of these justices was also confirmed by elected members of the United States Senate. Therefore, regarding last week’s decision, it can be argued that those who voted for Ronald Reagan (Kennedy), and especially those who voted for Bill Clinton (Ginsburg, Breyer) and Barack Obama (Sotomayor, Kagan) are the responsible parties. It must be noted though, that justices often go left after attaining office, which is certainly the case with Kennedy. Served 4/16/1962 – 6/28/1993. Nominated by John Kennedy (Democrat). Served 1/7/1972 – 9/3/2005. Nominated by Richard Nixon (Republican). Served 4/15/1939 – 11/12/1975. Nominated by Franklin Roosevelt (Democrat). Served 10/15/1956 – 7/20/1990. Nominated by Dwight Eisenhower (Republican). Served 10/14/1958 – 7/3/1981. Nominated by Dwight Eisenhower (Republican). Served 10/2/1967 – 10/1/1991. Nominated by Lyndon Johnson (Democrat). Served 6/23/1969 – 9/26/1986. Nominated by Richard Nixon (Republican). Served 6/9/1970 – 8/3/1994. Nominated by Richard Nixon (Republican). Served 1/7/1972 – 6/26/1987. Nominated by Richard Nixon (Republican). Roe v. Wade was a 7-2 vote. Voting For were Blackmun, who wrote the majority opinion, Douglas, Brennan, Stewart, Marshall, Burger, and Powell. Each one of these justices was nominated by Presidents who were elected not only once, but twice, with the exception of Johnson who did, however, serve more than one term, and Roosevelt, who was elected four times. The American people cannot be more clear about their choice for President when they elect that President twice or more. Each one of these justices was also confirmed by elected members of the United States Senate. And for those who think voting Republican will work to eventually end legal abortion, FIVE of the Supreme Court justices who voted for Roe v. Wade were nominated by two Republican Presidents. Therefore, regarding the Roe v. Wade decision, it can be argued that those who voted for Franklin Roosevelt (Douglas), Lyndon Johnson (Marshall), and especially Dwight Eisenhower (Brennan, Stewart) and Richard Nixon (Burger, Blackmun, and Powell), are the responsible parties. The slow suicide of America will never be stopped without the intervention of the Lord Jesus. Every nation and empire in history has gone the way America is going now. No nation lasts forever. Not even ancient Israel. If God could not stop the slow suicide of His own people, how can He stop the destruction of any nation that does not want His help? Enough Americans know better, however, and millions seek Him. But we should not be seeking Him to save America. We should be seeking Him to save souls, including our own. Believers are coming together and getting wise, and are beginning to understand the problem. American churchianity as usual has brought us to this place of powerlessness and increasing persecution. We created and bought into the wrong “Christian” paradigm many decades ago, believed the false prophets in charge, and supported people who proved to be our enemies. The Great Awakening is changing all that. Please listen to the following song. Pay careful attention to the lyrics which follow. The song applies perfectly to these days, gives the right perspective, and will give you hope. Regardless of American culture falling all around us and the advent of a new evil in the form of false freedom, those who know and love the Lord Jesus are truly free and will always be. The lovers of this present darkness will not be so fortunate. Copyright © 1979 by Special Rider Music. Words and Music by Bob Dylan. This is a great time of year. The Jewish New Year starts tonight at sunset. 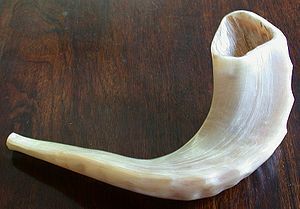 This is known as Rosh Hashanah, the “Head of the Year.” It is a traditional time for a new beginning, and those who take it seriously know that God still uses His calendar. Many Jewish rabbis teach that the Old Testament actually speaks of two Messiahs. One Messiah was known as the “Son of Joseph” and would come to earth in the person of a suffering servant. The second Messiah was known as the “Son of David” and would burst onto the scene as a powerful conquering king. They did not perceive that these two were actually the same Messiah, and many Jews in the first century misidentified the Lord as an imposter because He was not the conquering king they were looking for. Yet, the Scriptures are filled with the idea of going downward to go upward. Humility must precede exaltation. If one cannot handle the former, there will be no latter. The Lord Jesus fulfilled this perfectly. He arrived as the Sacrifice Lamb to pay for sin 2,000 years ago as a suffering servant and will soon return again. And it will be in the autumn of the year. Pay attention to Rosh Hashanah, which runs from sunset on Sunday night, September 16 to sunset on Monday night, September 17. Ten days later is the Day of Atonement (Yom Kippur). It begins at sunset on September 25. These are the ten “Days of Awe” when we all should take our walk with God very seriously, engage in spiritual introspection, repent of sin, and do our best to present a pure sacrifice on Yom Kippur. What follows in the Feast of Tabernacles (Booths), or Sukkot. It is a seven-day feast commemorating the time the Hebrews lived in temporary shelters in the Sinai desert. The usage of the word “dwelt” in the above passage indicates the fact that the Lord tabernacled among us, in a temporary shelter, spreading His tent, so to speak. He spent forty days here after His resurrection in His glorified state, and ascended to heaven bodily ten days before Pentecost. The Lord Jesus will return very soon. May we all prepare our hearts this Rosh Hashanah. Many Jewish rabbis teach that the Old Testament actually speaks of two Messiahs. One Messiah was known as the “Son of Joseph” and would come to earth in the person of a suffering servant. The second Messiah was known as the “Son of David” and would burst onto the scene as a powerful conquering king. Some did not perceive that these two were actually the same Messiah, and many Jews in the first century misidentified the Lord as an imposter because He was not the conquering king they were looking for. Yet, the Scriptures are filled with the idea of going downward to go upward. Humility must precede exaltation. If one cannot handle the former, there will be no latter. The Lord Jesus fulfilled this perfectly. He arrived as the Sacrifice Lamb to pay for sin 2,000 years ago as a suffering servant and will soon return again as the great King of Kings. Pay attention to Rosh Hashanah, which runs from sunset on Wednesday night, September 28, to sunset on Thursday night. Ten days later is the Day of Atonement (Yom Kippur). It begins at sunset on October 7. These are the ten “Days of Awe” when real believers should take a serious and renewed look at our walk with God, engage in spiritual introspection, repent of sin, and do our best to present a pure sacrifice on Yom Kippur. What follows is the Feast of Tabernacles (Booths), or Sukkot. It is a seven-day feast commemorating the time the Hebrews lived in temporary shelters in the Sinai desert. The usage of the word “dwelt” in the above passage indicates the fact that the Lord tabernacled among us, in a temporary shelter, spreading His tent, so to speak. He also spent forty days here after His resurrection in His glorified state, and ascended to heaven bodily ten days before Pentecost.